I will never, ever get tired of insanely gorgeous images of globular clusters. In our galaxy, stars are so far apart that collisions between two of them almost never happen. But in globular clusters stars are so closely packed that many of them have apparently literally collided with each other, merging into objects called blue stragglers. Globulars are old, so having blue, massive stars is weird; they have short lifespans, and should’ve all blown up as supernovae or at least turned into red giants billions of years ago. When these objects were first discovered in globulars they were really surprising, and while we still don’t understand everything about them, it’s a fair bet they result from two stars having a very, very close encounter. If two older, low mass red stars pass close to each other at low speed, their gravity can cause them to become bound to each other (it helps if a third star is involved; it can steal away energy from the other two, making it easier for them to become stuck together). Over time, they can spiral together and merge, forming a single, more massive, hotter object: a blue straggler. 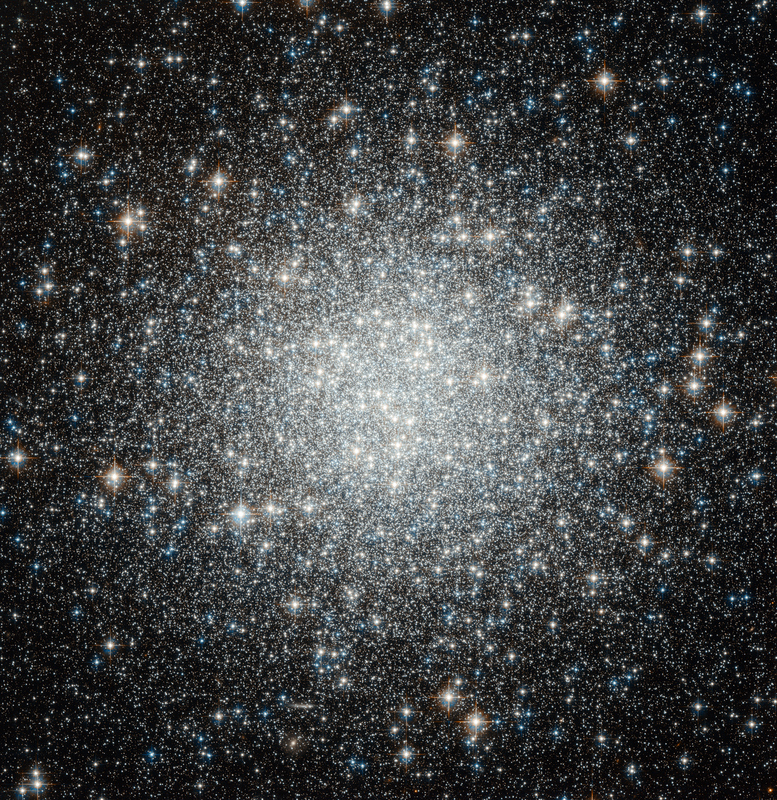 They’re seen in many globular clusters, and tend to be more common where stars are thickest, as you’d expect. Over 200 of them have been found in M 53 alone, and at first glance, if you didn’t know better, you’d think they were far younger than the ancient stars around them. In a way, I suppose, they are. But don’t judge. If you were a 12 billion year old star, you might want a facelift, too.